Milan Fashion Week has displayed many exciting new ventures for huge designers, such as Jeremy Scott’s Moschino fast food inspired collection. 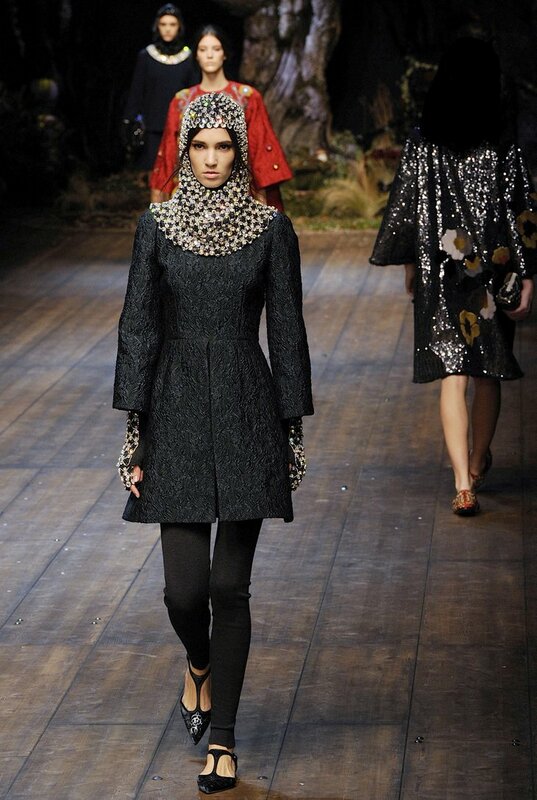 Dolce & Gabbana displayed their catwalk show as an enchanted forest with medieval inspired fashion. 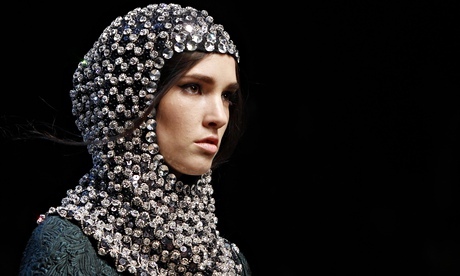 An excited take with chainmail and knight inspired headgear. We love Mila Falls and we love her version of Daft Punk’s Lose yourself to dance! Happy Friday! Wednesday, February 19th saw two different music award shows, one being The Brits, and the unlikely, but uber attended Folk Awards. 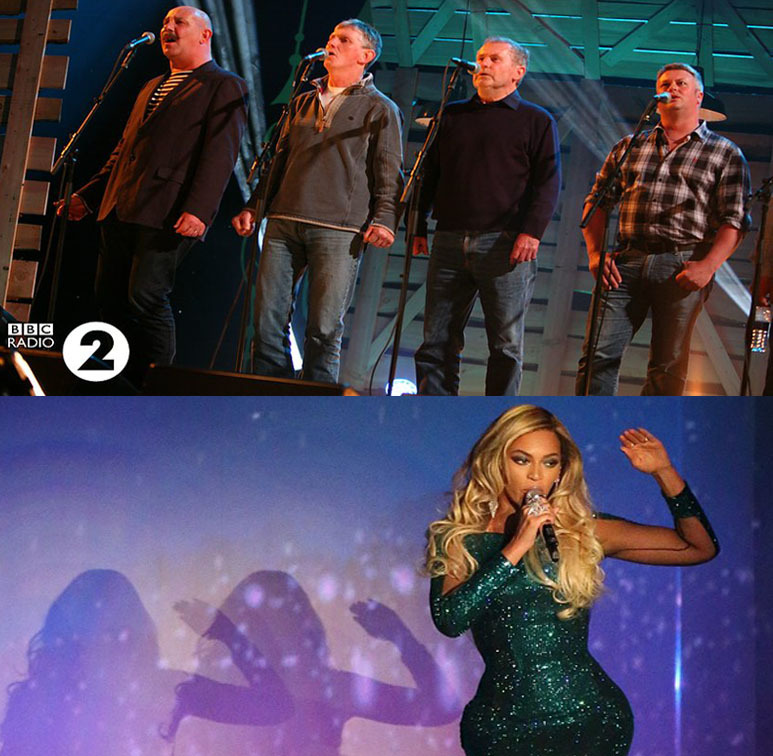 Artists such as Beyonce and Ellie Goulding put on quite the spectacular production at The Brits, while folk musicians Clannad and The Fisherman’s Friends truly paid homage to the artistic enjoyment of music. Also notable, the renowned Jarvis Cocker made an appearance to present Martin Carthy the lifetime achievement award at The Folk Awards. Here is Kylie Minogue’s latest single ‘Into The Blue’ off her new album ‘Kiss Me Once’. Enjoy! 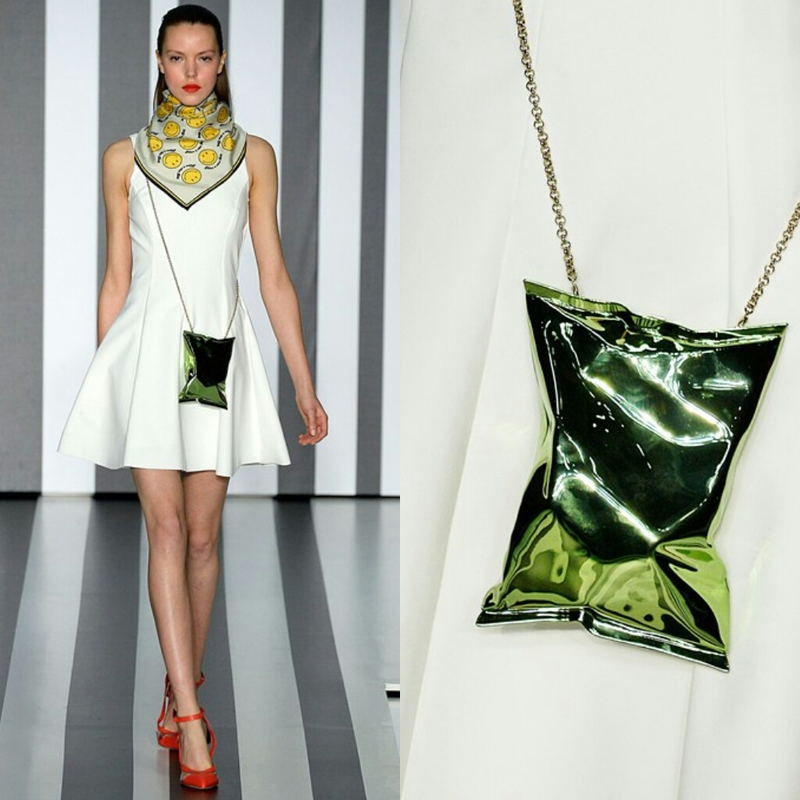 Anya Hindmarch’s A/W14 collection at London Fashion Week had a very original take on consumer goods. The chicest checkout till in town, Anya Hindmarch took ordinary supermarket items and made them into extraordinary handbags. A fun take on fashion. 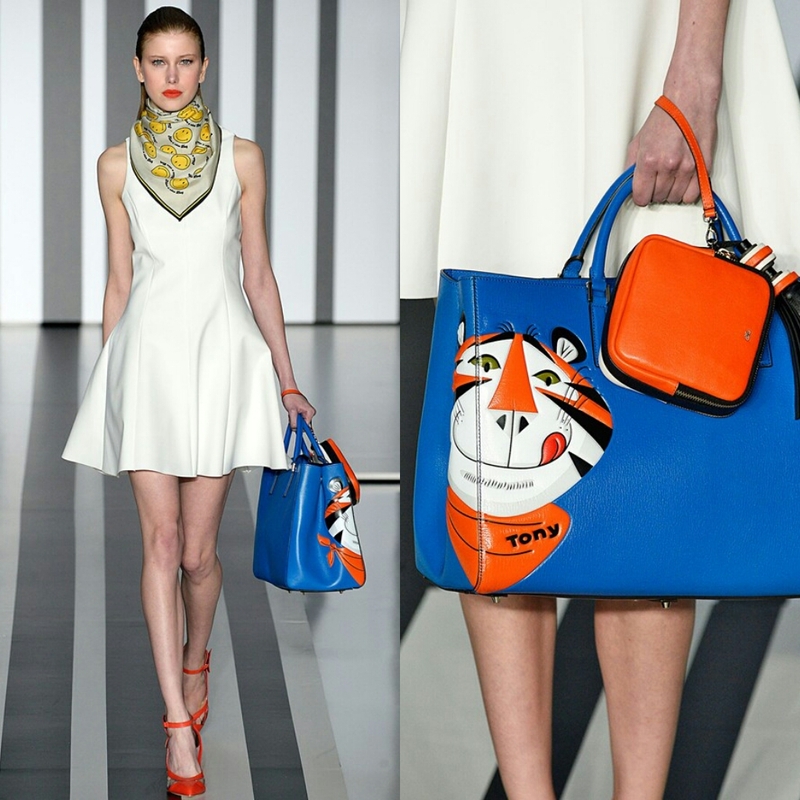 Including Kellogg’s Tony the Tiger handbags, Crisp Packet clutches and Custard Cream/Bourbon evening clutch bags. 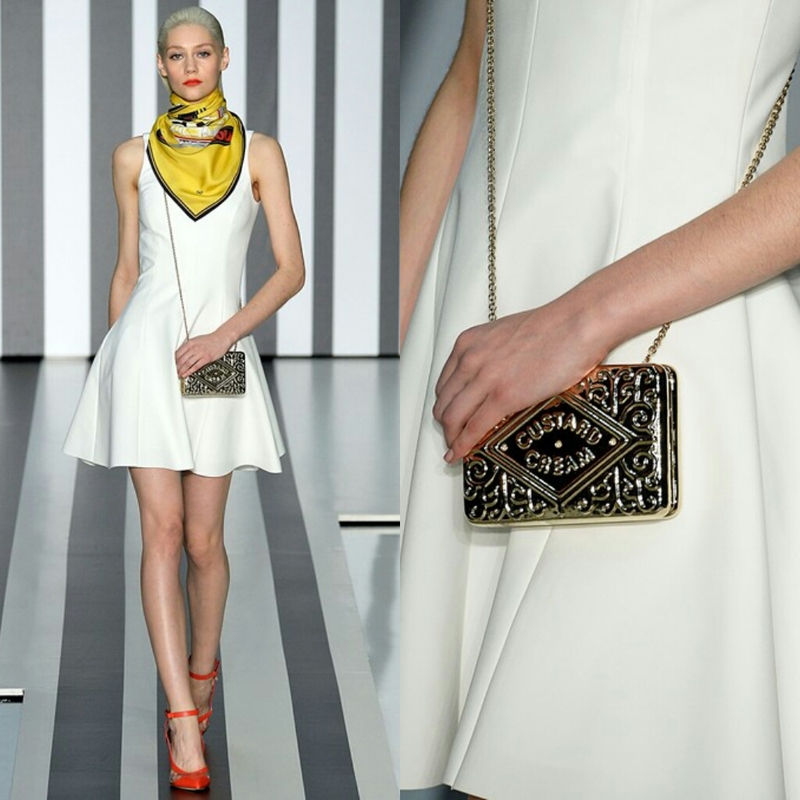 Trends involving bright hues of orange and cobalt blue caught the eyes of many at London Fashion Week recently. These colors were used quite popularly in co-ords offering a revival of the “matchy- matchy” type of look. In a sea of typical Autumn/ Winter colors such as camel, black, and white, the ever so present use of these two shades is quite pleasing. Pictured here from left to right: Jasper Conran, Preen by Thornton Bregazzi, J. JS Lee, and Richard Nicoll. 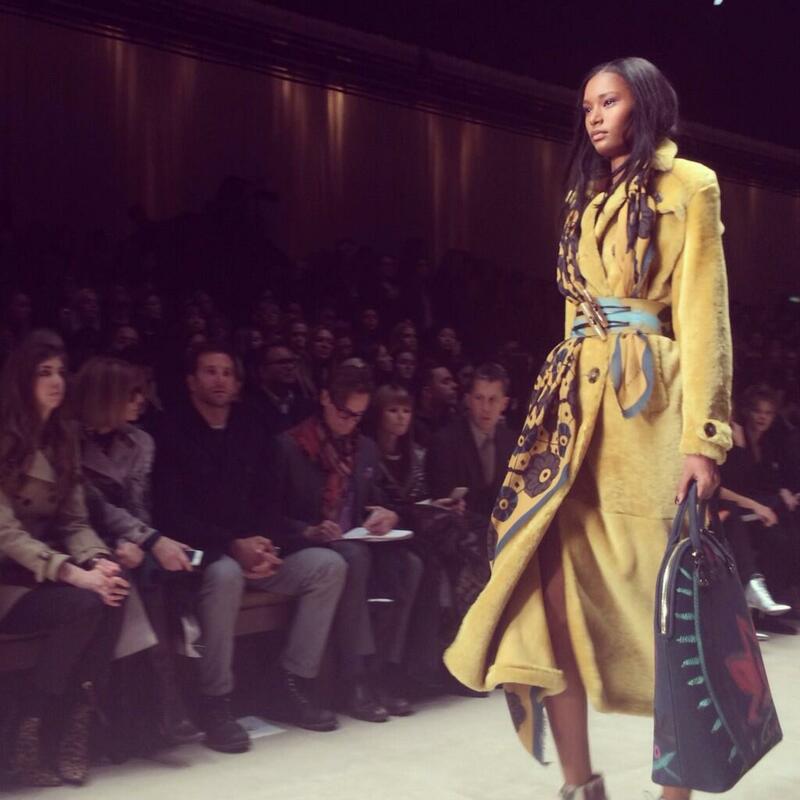 Today saw the much-anticipated Burberry Prorsum show, which featured many stars and fashion icons. The trend from London: Mens Collection with the personalised blankets continued and Burberry have experimented, with use of ethnic prints, florals and autumnal colours. 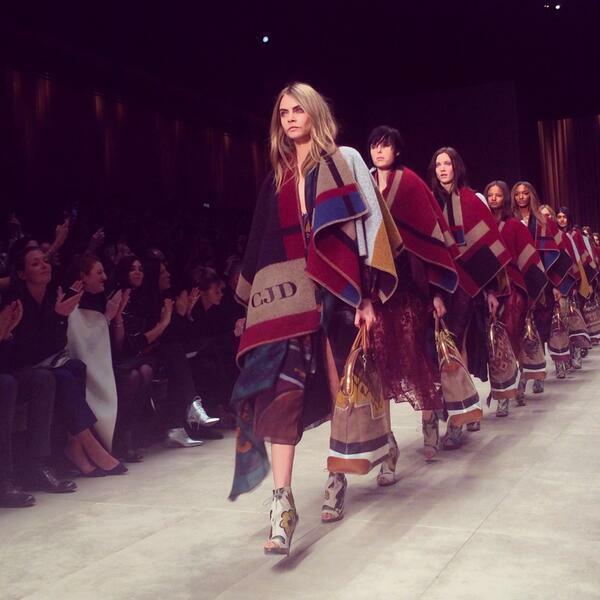 Model of the moment, Cara Delevigne walked down the catwalk, showcasing Burberry’s latest collection, as well as Jourdan Dunn and Suki Waterhouse. 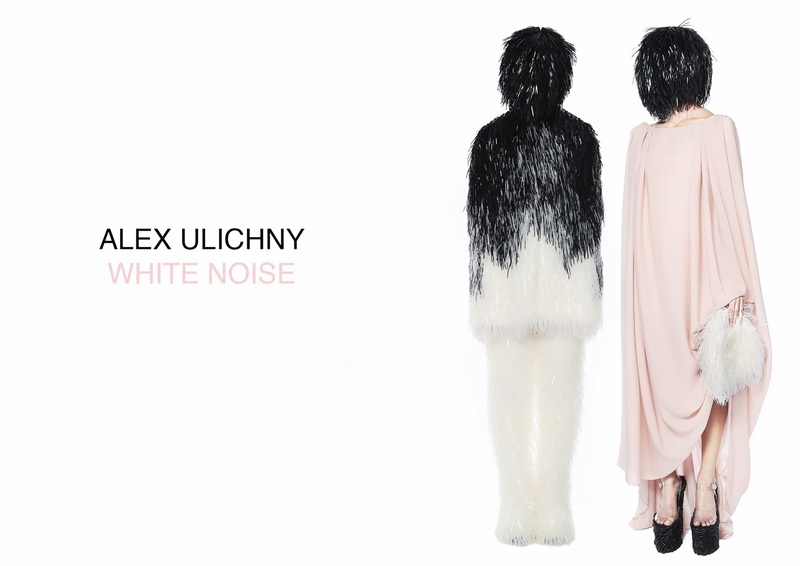 Award-winning New York based designer Alex Ulichny joins Blow Presents. The talented designer tells a story with each collection and with his new collection ‘White Noise’, he creates garments for a conceptual world. Alex sees beauty in imperfection, and his work is often rooted in his love of romanticism. We look forward to seeing more from Alex in the future!